No. 5: History on the hoof. 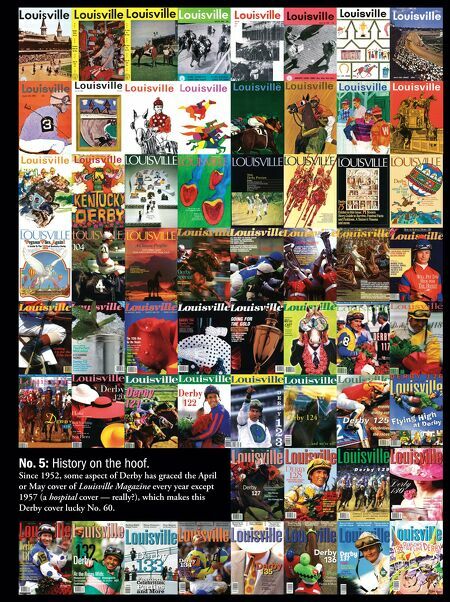 Since 1952, some aspect of Derby has graced the April or May cover of Louisville Magazine every year except 1957 (a hospital cover — really? 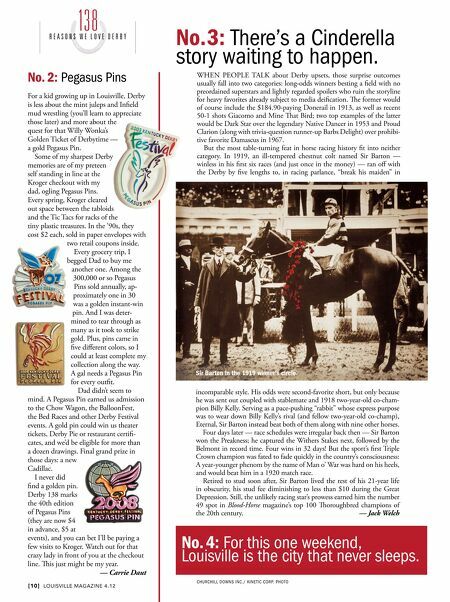 ), which makes this Derby cover lucky No. 60.